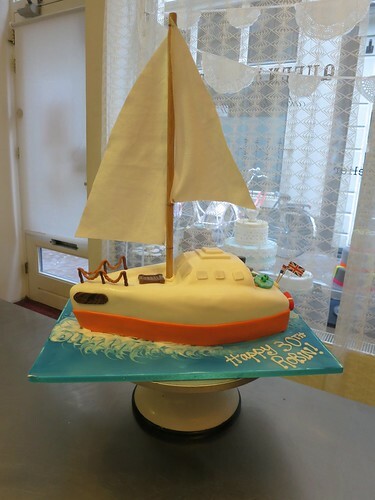 3D Sailboat Cake, a photo by CAKE Amsterdam - Cakes by ZOBOT on Flickr. 3D Sailboat cake - my second sailboat and 3rd 3D boat. Sailboat cake with personalized touches... an Apple computer, Wake Board, British and Dutch Flags, Life ring and personalized text! 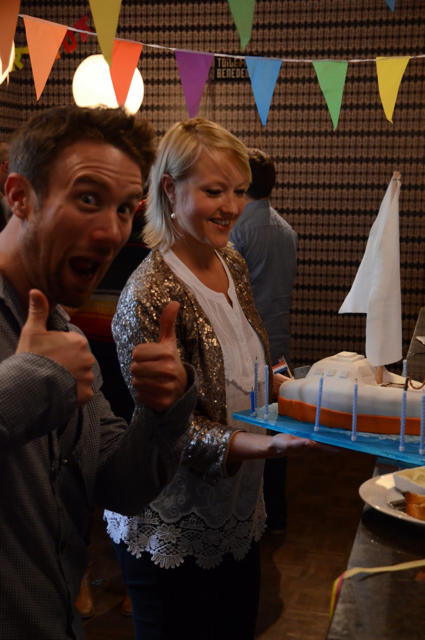 Below is a photo of the birthday boy and his cake!